The New York Life Foundation is seeking applicants for its Aim High grants to support afterschool, summer, or expanded learning programs serving middle schoolers. Aim High will provide $2.25M over three years to middle school afterschool, summer or expanded learning programs serving disadvantaged youth. A total of 26 grant awards – 8 more than last year — will be made nationwide. This competitive grant program is open to all nonprofit afterschool and summer learning programs that serve middle school students. 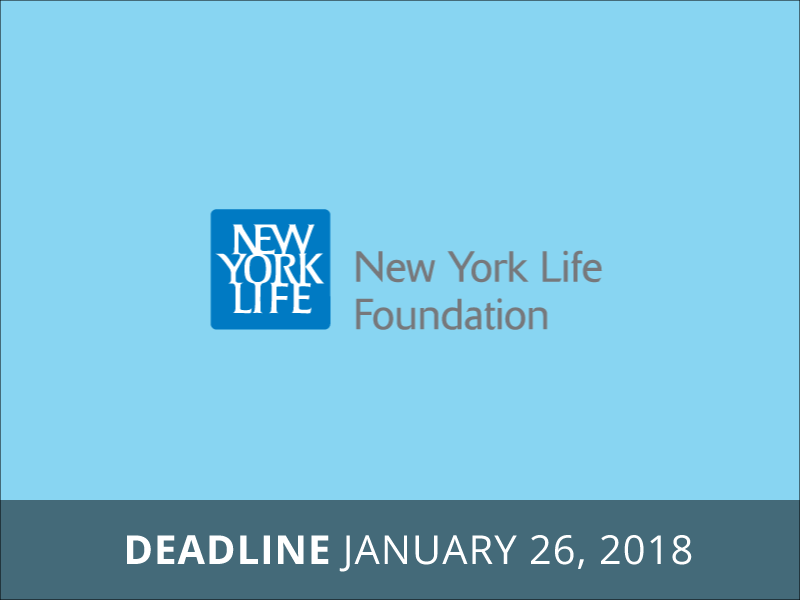 Organizations that currently receive funding from the New York Life Foundation, either directly or indirectly, are ineligible to apply for any of these grants. If you are an affiliate of a national organization receiving Foundation dollars and are unsure if you are supported by the grant, check with your national office.